A couple weeks ago we had the honor and pleasure of capturing this sweet young lady on the day of her First Holy Communion. Such a special day for her and her family, and we are so proud to have been a part of the celebration. We have completed editing her gallery and can’t wait to share all of the images with her family! She is pictured here with her whole family outside their Westchester home. So the entries have been tallied…the drawing is now closed…and it’s time to announce the winner of the $100 Gift Certificate to Dulce Vida Studio!! Without further adieu…please join us in congratulating Laurie Quadrini!! Congratulations Laurie! What a beautiful boy…with the most amazing soul! I could stare at this face for hours!! 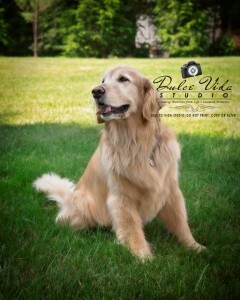 Thank you to Finn for being such a handsome, patient, and loving model. There will never be another like you!